Yay! I couldn't wait to share the news with you...I'm a GREEN winner! I've won a fabulous gift compliments of Katie's Nesting Spot (one of my favorite blogs)! In honor of Earth Week, Arbor Day and most importantly, reaching a major blogging milestone, 100 followers, Katie offered this fantastic giveaway to those followers. 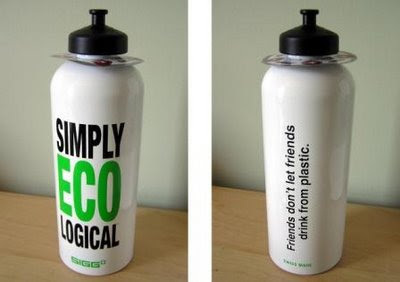 It's a SIGG bottle...only the best! SIGG bottles are innovative, functional, go-anywhere and totally suited for leisure and sporting activities. To visit the SIGG Web site, click here. As many of my loyal readers know, anything green is near and dear to me. This bottle will accompany me on every trip to the playground, park and beach...places I frequent in the spring and summer months!! Many thanks to Katie for such a fabulous giveaway, and many more congrats to her for reaching 100 followers. It is truly a testament to her wonderful blog. To visit Katie's post announcing me as her winner, click here.